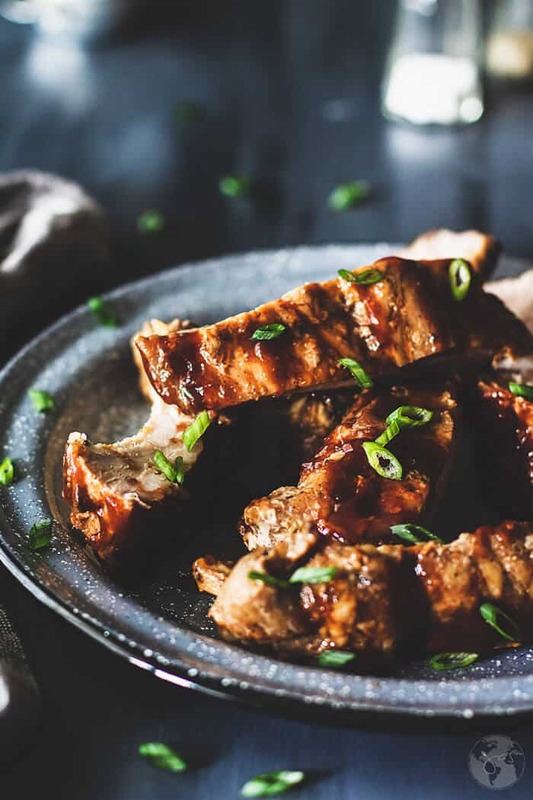 These roasted pork ribs with honey glaze are finger-lickin’ lip-smackin’ good and easy to make without firing up your grill. Enjoy your favorite backyard classic any time of the year. 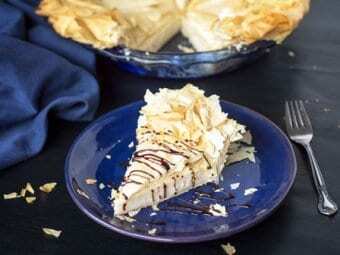 “Finger-lickin’ good” is just the beginning – it only covers the beautiful, flavorful glaze. 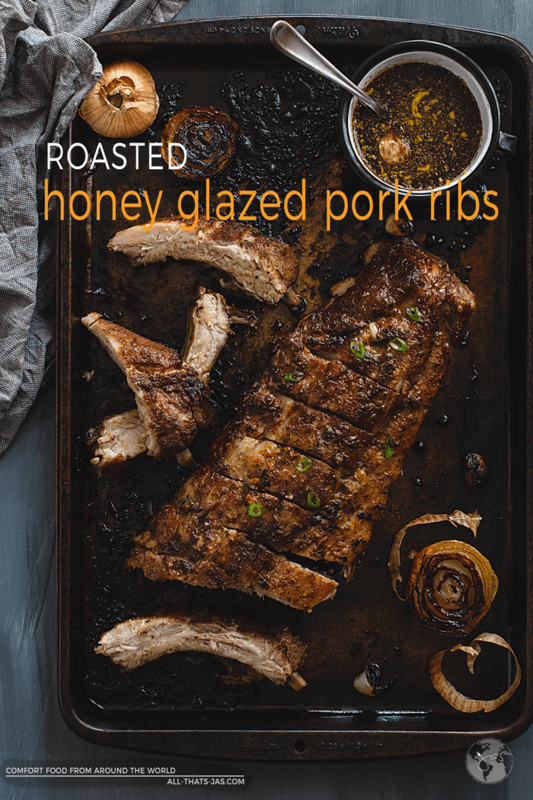 These amazing honey glazed roasted pork ribs are absolutely guaranteed to stick to your fingers as you devour them. Doesn’t food taste better when you can eat it with your hands, and it simultaneously covers your face? Well, that statement is true for ribs at least. I love my barbeque foods seasoned with a mix of sweet and spicy. It was only appropriate that I marry the two flavor palettes with some honey, brown sugar, garlic, and mustard in this recipe. Gracing a rack of ribs that fall off the bone: that’s what I call a match made in heaven. Don’t tell me you still won’t mix in some sweet flavors with your proteins? Pork is the perfect meat to experiment some sweet flavors with! You don’t need to necessarily dive right into chocolate-covered bacon, but the glaze of this rib recipe is a great place to start. I know that there is a pretty distinct divide between those who favor dry-rubs ribs, and those who like theirs smothered in BBQ sauce. I think this glaze is a good mix of the two: enough to turn team dry-rub into team saucy, and enough to have team saucy turn it down a notch. Don’t get me wrong, I love all rib recipes, but this one right here has to be at the top of my list. If you’re not convinced, you can still top them with BBQ sauce. I won’t be mad. If it’s not grilling season, have no fear. This recipe has instructions for making them in the oven. This is the perfect centerpiece for a hot meal in the middle of winter too! 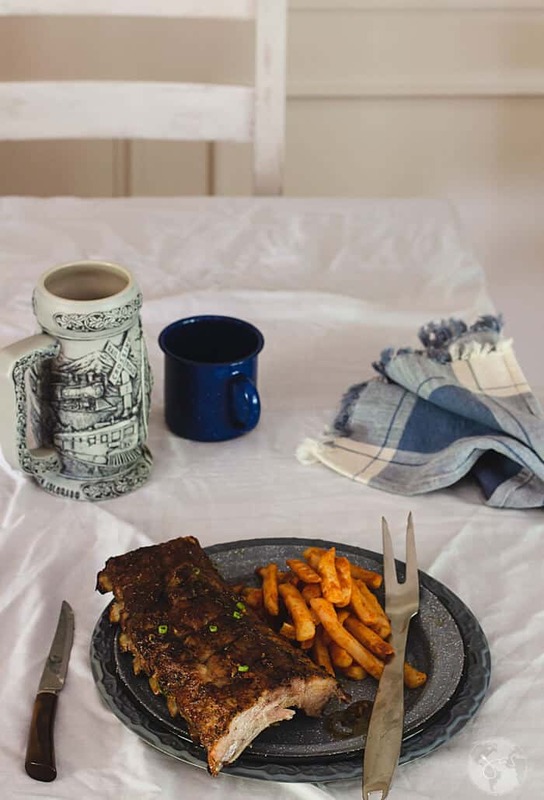 Pair these delicious ribs with some not-as-intensely-flavored side dishes that serve as some amazing comfort foods or just go restaurant-style and serve with French fries and beer. Some sweet corn, mashed potatoes, mac and cheese, and biscuits alongside will make this a soul-healing meal. 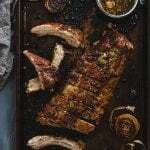 HOW LONG DO YOU BAKE RIBS IN THE OVEN? 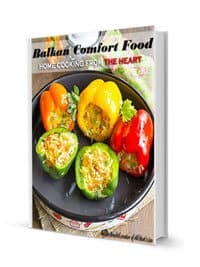 One of the best things about this recipe is that you don’t need to marinate it for hours or overnight. You just rub on the honey glaze and roast it in the oven. Now that’s what I’m talking about. For ‘fall of the bone’ tender ribs, it’s best to bake them for about two hours. Although usually always worth the wait, it’s kind of torturous when you create a marinade with an enticing, mouth-watering aroma, and then you have to put it in the fridge for the next 8-12 hours before waiting even more time for it to cook. 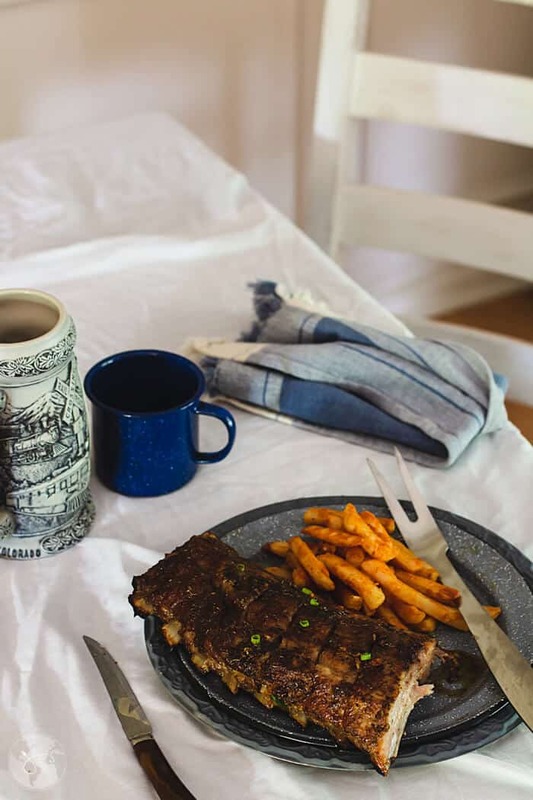 Sorry, I love ribs so much that it makes me cranky thinking about having to wait for them! 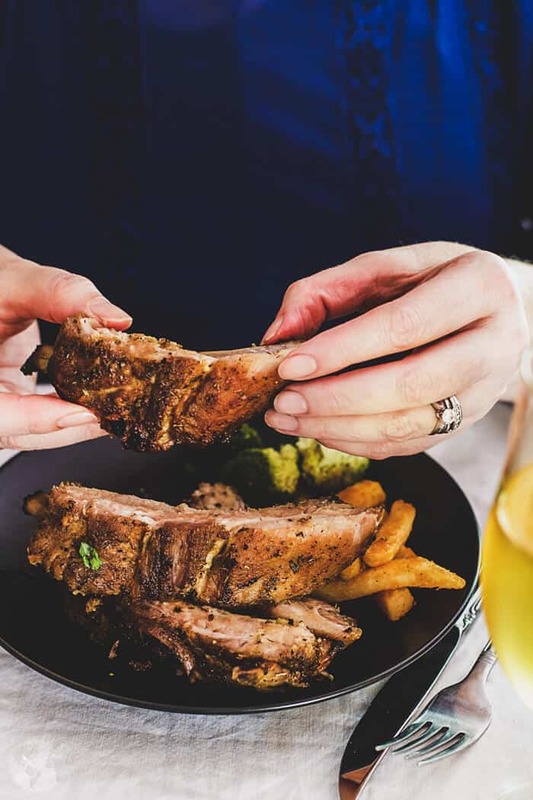 Take your normal safety measures before diving into these roasted pork ribs: napkins, dental floss ready, and a plan to brush your teeth before stepping out in public post-chow down. his post might contain some affiliate links for your convenience. Click here to read my full disclosure policy. In a large bowl, combine all of the ingredients except ribs. Add the ribs and rub the glaze all over them thoroughly. 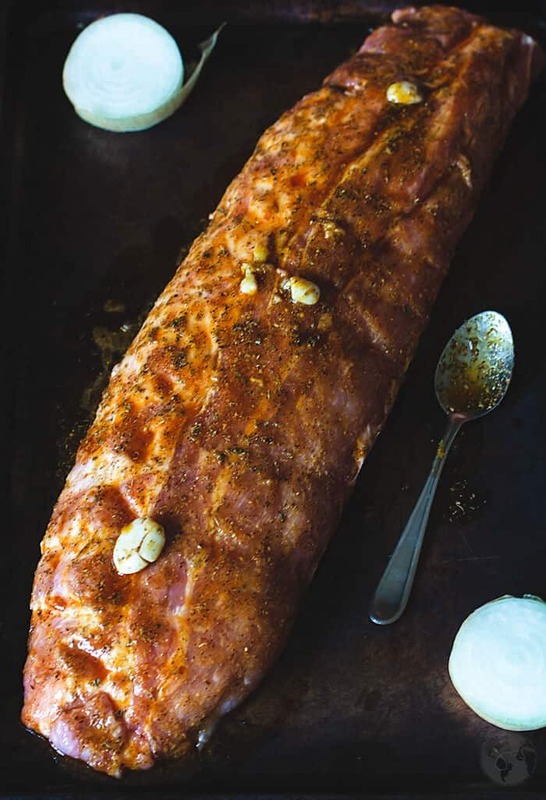 Place the ribs in a large roasting pan and pour with remaining glaze. Tent a piece of aluminum foil over them. 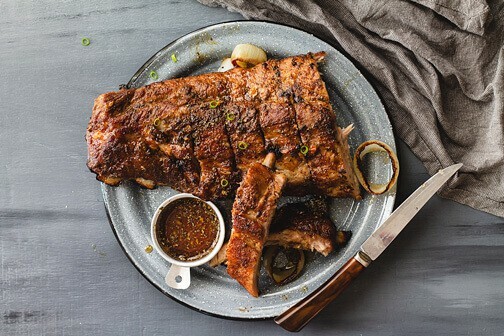 Place the ribs in the oven, basting with the drippings from the pan every 20 minutes, removing the foil for the last 20 minutes and cooking until fork tender for about 1 ½ to 2 hours. 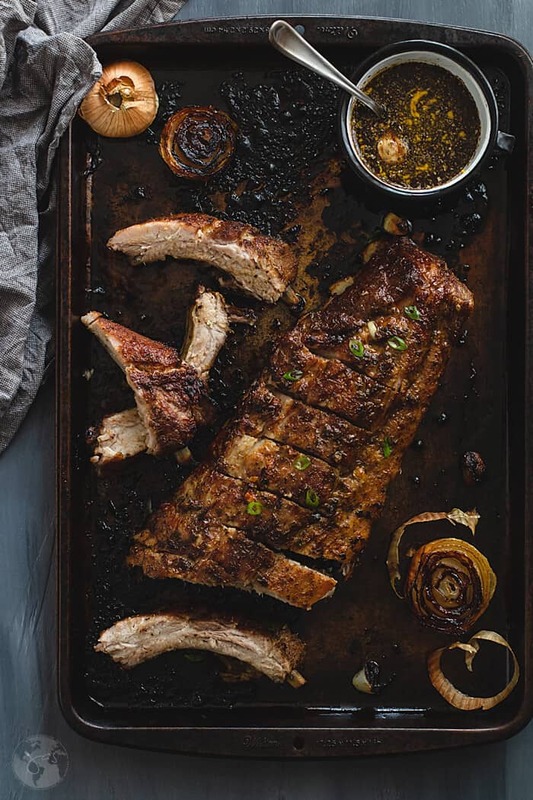 Absolutely delicious honey-glazed pork ribs are roasted in the oven to a sticky sweet goodness. Add the ribs and rub the glaze all over them thoroughly. Place the ribs in a large roaster and pour with remaining glaze. Tent a piece of aluminum foil over them. Featured on Starfish Cottage Blog and Lou Lou Girls. Editor’s note: This post was originally published in 2012 and has been updated with new photos. Ribs are a favorite and this sounds delicious. Not sure cleaning the pan would have been much fun though. Thank you so much for bringing them to FF. Lol, cleaning the pans is never fun, Liz! Lining the pan with aluminum foil sure helps but in this case, the pan is too old to care. I also need a good excuse to buy a new set of pans but what do you know…it cleaned up pretty easy. Just my luck, ha! Sometimes those old stained pans actually look better in pictures, glad it was easy to clean up. This sounds absolutely yummy!!! 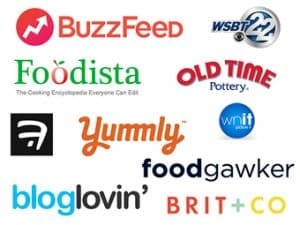 Thanks for sharing at our Party in Your PJs link party! We love rubbing our ribs before hubby puts them on the smoker. So yummy!! Thanks for sharing with SYC.